A very big thank you to everyone who came out to see us at our recent Trail Celebration Event on Tuesday, September 18, 2018. This Trail up-grade has been over 3 years in the making and it took funding and donations of $625,000 to get the Trail to where it is today – the best it has ever been. Re-surfacing over 32 km of Trail with 7 new bridge decks was no easy feat, but we could not have done it without some amazing support and we would like to thank all of our contributors for helping us to make this possible. ACOA – Bicycle Nova Scotia – Blue Route, Aspotogan Heritage Trust, Bay Treasure Chest Association, Five Bridges Wilderness Heritage Trust, Halifax Regional Municipality, J.D Shatford Memorial Trust, Matt Whitman – Councillor, Mountain Equipment Co-Op, Nova Scotia Power, NS Dept. of Culture – Communities & Heritage, NS Dept. of Engery and Mines, NS Dept. of Health & Wellness, OHV Infrastructure Fund, Safety-Minded ATV Association, St. Margaret’s Bay Regional Tourism, Development Association, Tantallon Veterinary Hospital and TD Bank. And if you are interseted in reading the article written by the Five Bridges Wilderness Heritage Trust you can do so by clicking here. 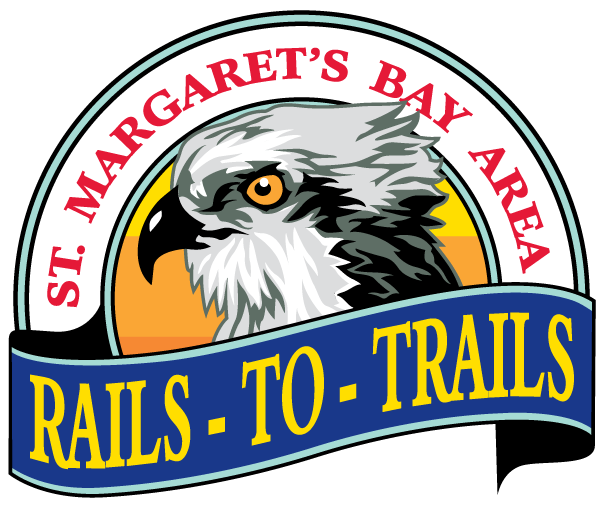 I agree to the collection of my information by the St. Margaret's Bay Area Rails to Trails Association.